Britton Buchanan is an 18-year-old singer and songwriter from Sanford, North Carolina. He rose to fame after appearing on the 14th season of The Voice and became a member of Team Alicia Keys. 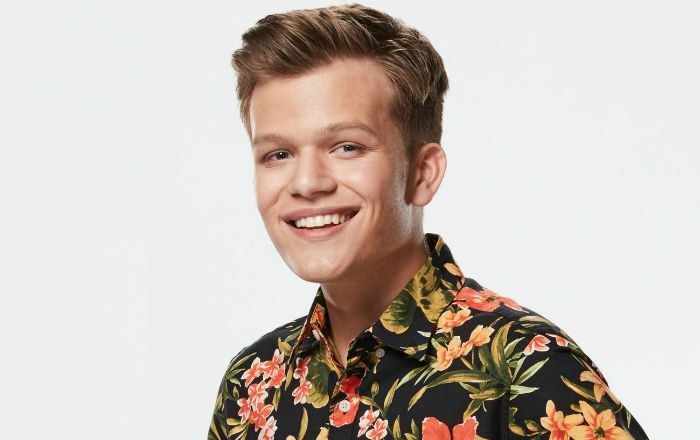 He is one of the forerunners of this season alongside Spensha Baker, Brynn Cartelli, and Kyla Jade. Britton Buchanan was born on 7 January 2000, in Sanford, North Carolina, United States. He’s currently 19 years old. Buchanan is a senior at Lee County High School in Sanford, North Carolina, United States. Britton Buchanan began dating fellow singer Livia Faith after they met at the blind auditions of this season’s The Voice. They both ended up on Team Alicia. Love blossomed between the two and he proposed her by sending her some chocolate covered strawberries with a little message. And, obviously, she said yes. The two are going strong since then. He hasn’t starred in any film yet. In 2018, Buchanan appeared on the 14th season of The Voice as a contestant. He is best known for his appearance in popular American singing show “The Voice” as a contestant. His favorite things are not available at this time. Buchanan started singing at a young age. He performed in places around Sanford, including Cary, Raleigh, Apex, and Morrisville. Britton began playing guitar at age 8, started taking singing seriously at age 12 and learned piano by age 14. He has performed at a local theater in Sanford when he was about 10 years old. He played Danny in a local production of Grease in March 2017. He joined a classic rock cover band at the age of 13, thanks to his parents for introducing him to ’70s and ’80s rock and folk music. At age 15, he was performing with a band called Brick City South that also included George Morris, T.C. Mann and Ethan Ross. He’s competed in a number of talent shows in North Carolina and was twice selected to sing the national anthem for the Durham Bulls, a minor league baseball team.